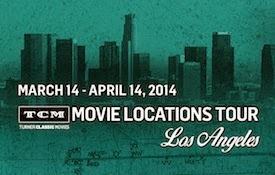 Last week I had the wonderful opportunity to ride along on TCM's Movie Locations Tour in Los Angeles. I was one of those riding along on the first day the tour was open to the public. 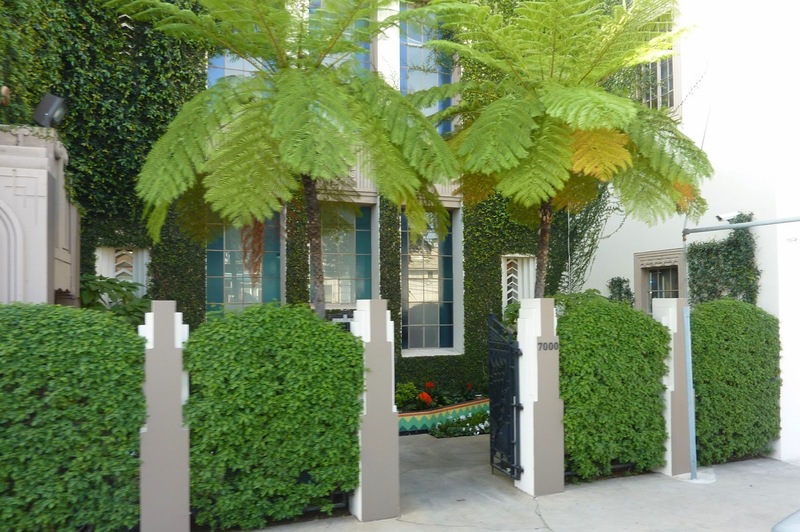 The free tour, conducted by Starline Tours, is taking place through April 14th, the day after the TCM Classic Film Festival comes to its end. Tickets for the tour seemed to be snapped up quickly, but perhaps we can hope it will eventually become a regular thing like TCM's New York tour. 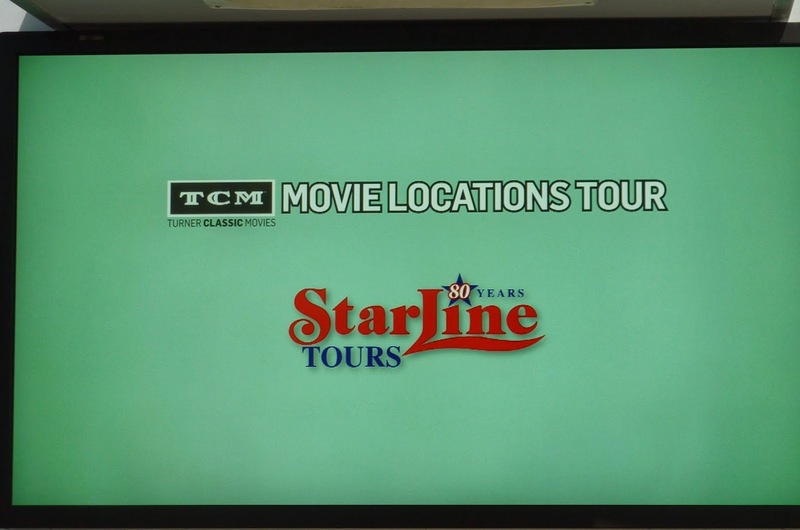 TCM and Starline definitely put some good work into organizing the tour experience, so I hope more film fans will have the opportunity to enjoy it. Check-in was at the Starline booth in front of the Chinese Theatre, then we walked around the corner to get on the bus in Starline's loading area. The clean, airy bus had huge windows which could be lowered, making photography easier. 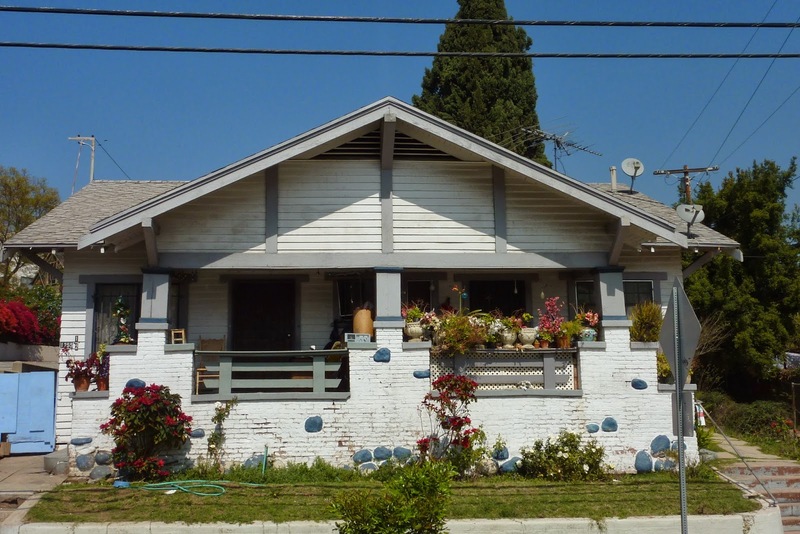 ...film locations, and some of the oldest movie theaters in L.A., particularly the movie palaces of Downtown Los Angeles. I'll be sharing photos of some of those buildings in a separate post. The 1893 Bradbury Building in Downtown Los Angeles was one of two locations where we got off the bus to walk around. Tourists are welcome in the ground floor lobby area and can go as high as the first landing of the stairs to take photographs. I most recently saw the Bradbury Building in the Mike Hammer film I, THE JURY (1953); the audience at the Egyptian Theatre applauded the first time it appeared in a shot! It's appeared in many other films, including D.O.A. (1950), BLADE RUNNER (1982), (500) DAYS OF SUMMER (2009), and THE ARTIST (2011). 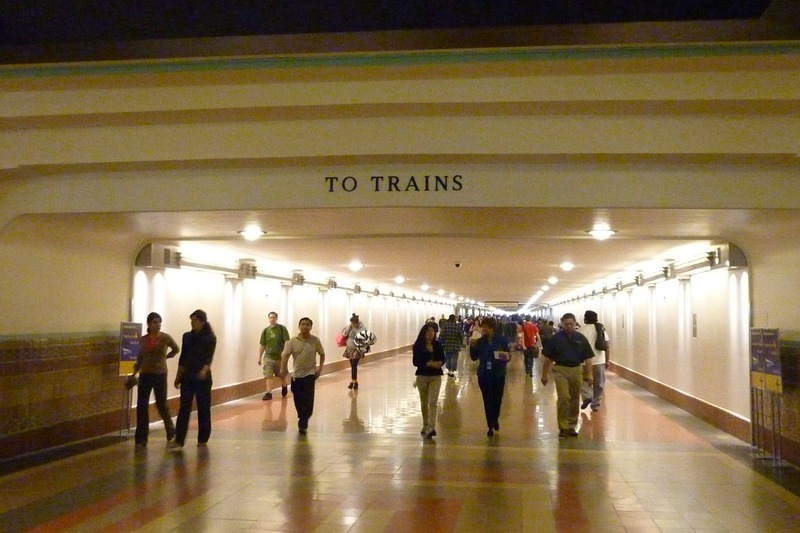 We also took a walk around Union Station, seen in countless film noir titles including CRISS CROSS (1949) and CRY DANGER (1951). 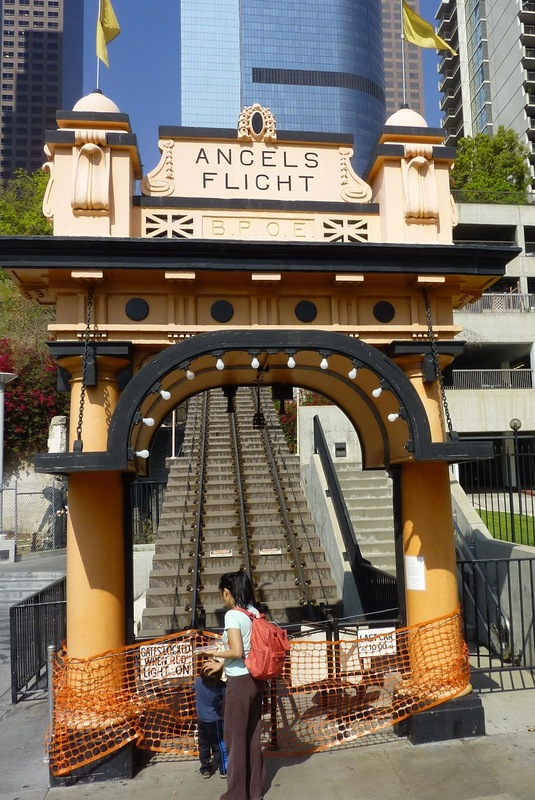 The Angels' Flight Railway dates from 1901 and was originally about a block from its present location; in the '90s it was dismantled and reconstructed at the current site. It's seen in CRISS CROSS (1949), THE TURNING POINT (1952), and many other films. 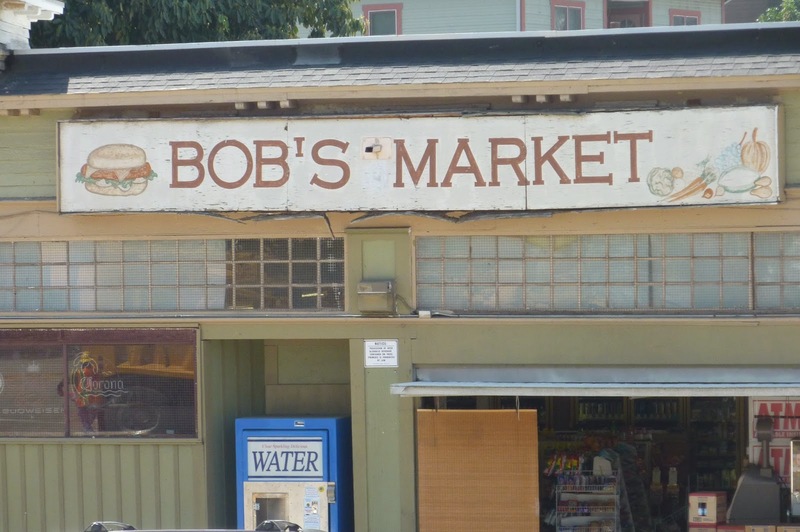 Bob's Market on Bellevue in the Echo Park area is seen in THE FAST AND THE FURIOUS (2001), the first film in the long-running franchise. The late Paul Walker was shown in a film clip walking into the building and ordering a sandwich. 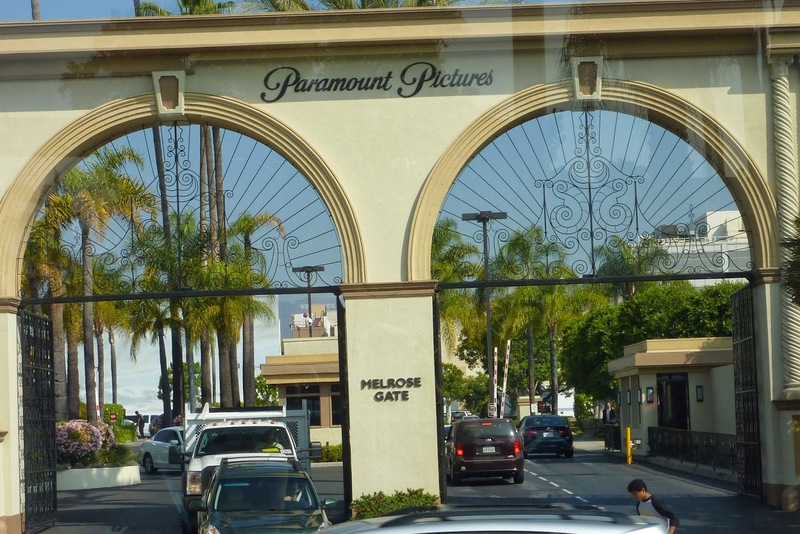 I very much enjoyed the tour, which presented ample "classic Hollywood" history and film locations along with sites seen in more recent films. I'd previously seen many of the featured locations, but it was a terrific experience having them all pulled together in one comprehensive tour, and even though I've lived here all my life, the tour gave me a better sense of where the various areas of the sprawling city are located in relationship to one another. And as the cherry on top of the proverbial sundae, I won a TCM t-shirt when I correctly answered a trivia question! My friend Lindsay was also on the tour, and she did a wonderful photo post at her blog Lindsay's Movie Musings. Be sure to check it out. The blogs Elise's Ramblings and Cinephiled have nice reports of the March 13th media day, with TCM's Ben Mankiewicz along for the ride. 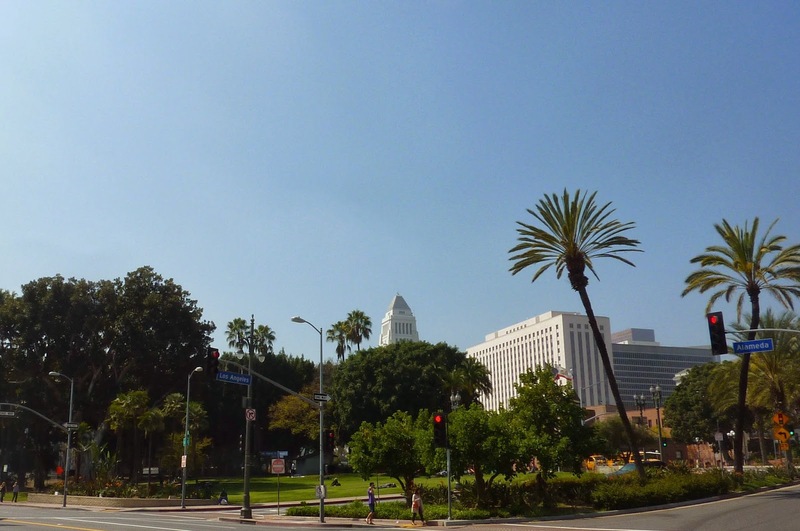 Update: L.A. Movie Palaces seen on the tour! Oh, and I'll be in Los Angeles next month, looking for an apartment (plan to relocate later this year), so perhaps I'll see you at the featival.